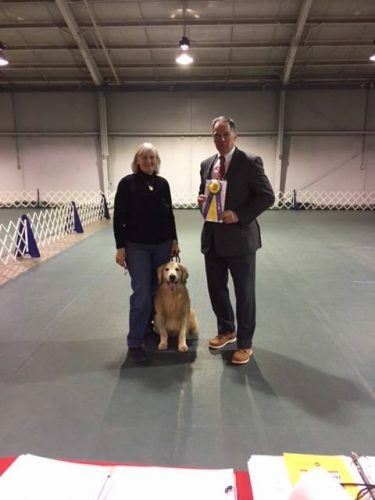 March 3, 2019 Jan Niblock: Finn’s debut in ASCA Open today and he was awesome and even earned another High in Trial! He is really starting to come together. Our students did great at the RALLY LUV YOU trial in Medina. 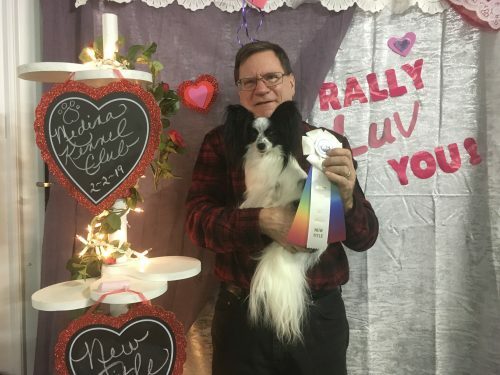 Enzo earned his Rally Advanced title on 2-2 with a second place, then continued on to earn his Rally Excellent title on 2-3-19 with 2 first place showings also! Go Enzo! 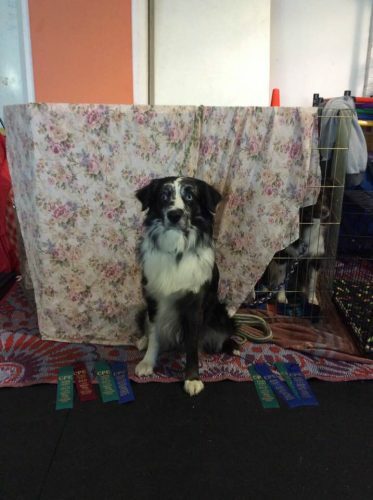 Molly finished her ASCA Novice Rally trial. She also finished her ASCA Novice Gamblers title. Finn’s first time in the rally ring. Judge Kathryn Meyer awarded him his first ever rally Q in ASCA Rally at the Medina SWARM trial at CLErun in December, 2018. Molly earned 3 first place Qs at the SWARM CPE trial. December 2 – Finn earned 4 Qs this weekend at the SWARM CPE trial. 2 in Level 2 and 2 in Level 3. Molly is trying to see what is going on. She had a lot of fun also with a 64 point Jackpot Q. She beat Finn on that one with 9 more points. 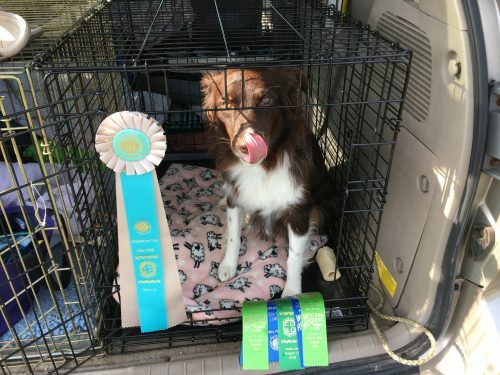 Tucker earned his Master Standard Agility Title! 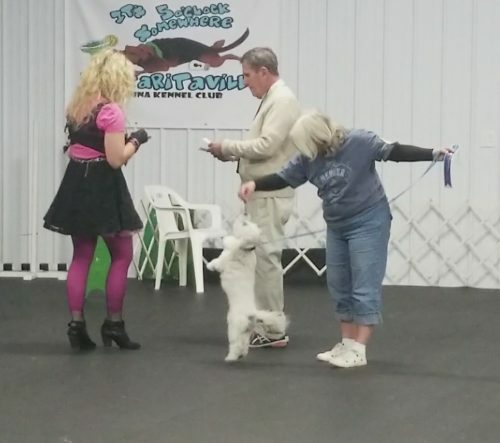 First time at an AKC trial Enzo earned 2 Novice legs; Barney earned his Novice title and 1 leg towards Intermediate. 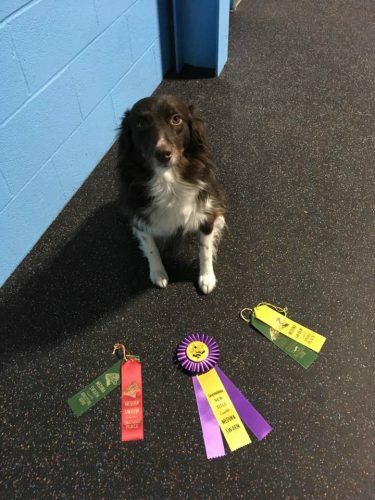 Sadie earned 2 legs towards Novice and broke a speed record for the course (along with getting 1st place!) 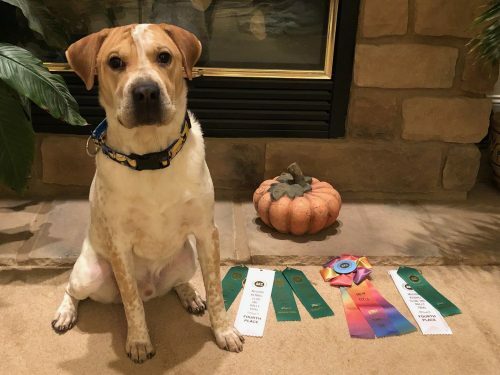 Jeeter earned 2 legs towards his RAE, and received High Combined. It was a good day all around! 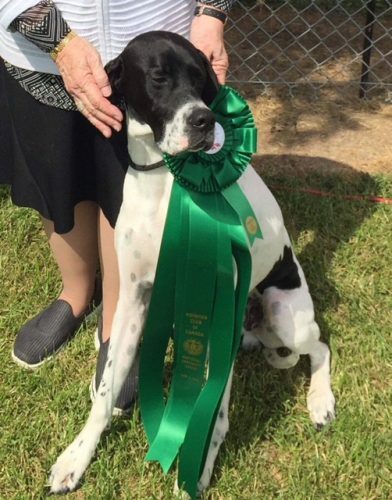 Barney and his Novice ribbons and TITLE at his first AKC trial, plus one leg in Intermediate! 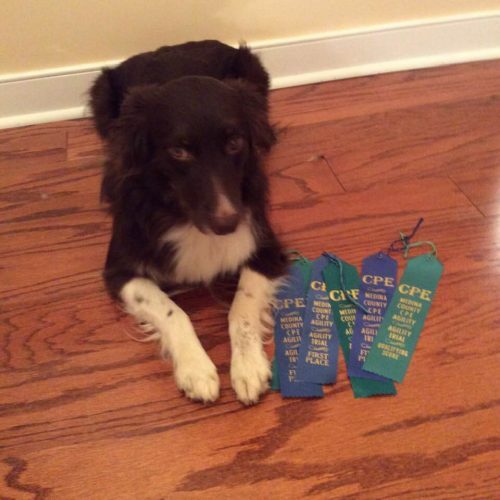 Enzo and his Novice Rally ribbons also from his first time running AKC Rally. and who says you can’t have fun at a trial? Rock on! 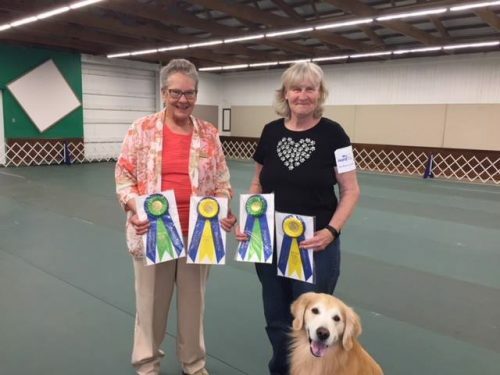 This trial brought new titles, ribbons and legs to Kim and Lissy, Janet and Sadie, and Cindy and Razzle. Lissy placed First and Fourth twice in the Zoom 1 and Starter classes. 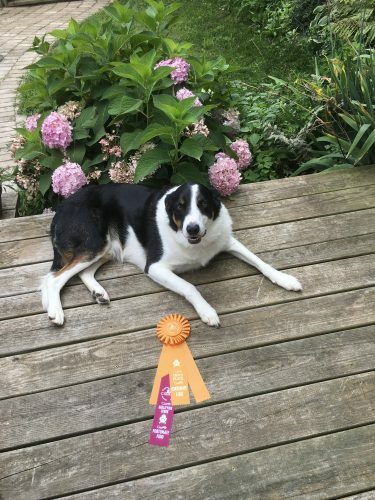 Sadie earned her Zoom 1 title. Razzle ran well also and earned his ACE title. 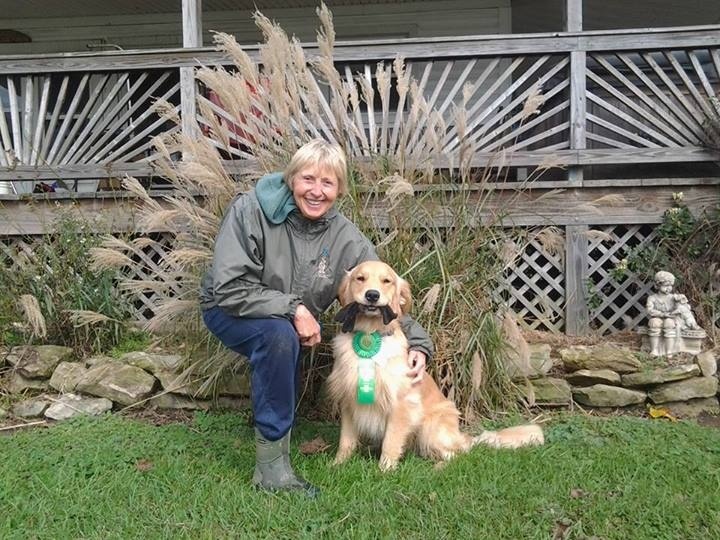 Molly & Jan Niblock – 1 year ago today, Molly earned her first AKC Rally Novice A Q and it was outside. 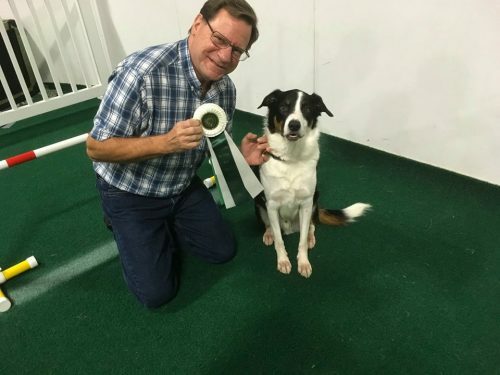 Today, 1 year later, Molly finished her Rally Advanced A title all outside and off leash. I am so proud of her working off leash for her first time outside because of all those great smells, it was very, very hard. Way to go Molly and Jan! 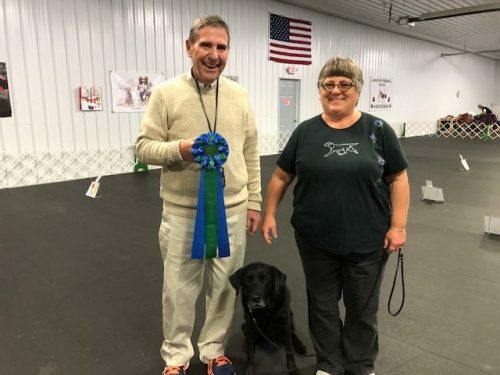 John & Ruth Jasko – First C-Wags Trial ever on July 29th! Tucker came in 3rd and Enzo took 2nd! Great job guys! 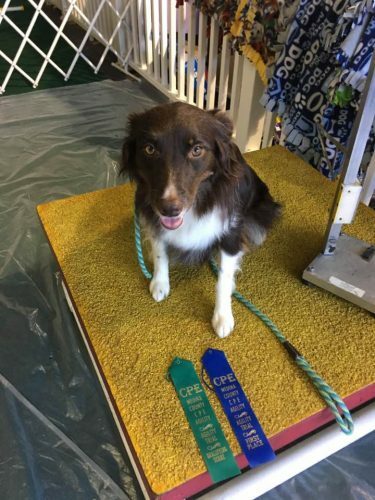 Finn ran for the first time in level 2 Standard in CPE and earned a 1st place Q. Yesterday he finished 2 CPE titles. CL1-R and CL1-S.
What a wonderful time we had at the NOC! It is a grueling competition for both human and beast members of the team! We made it to the Top 50, but not the Top 20 (around 25th I think). We had a pretty good morning going clean in all 8 right with scores ranging from -.5 to -8.5. 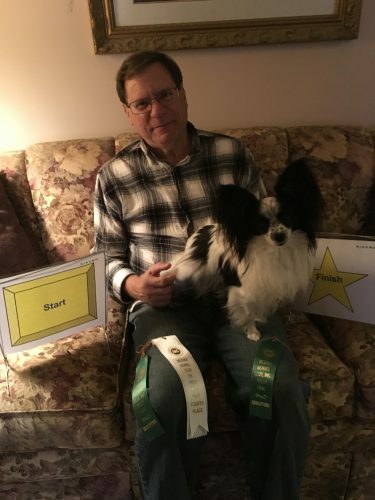 4 years participation in the AKC NOC; 4 years making the Top 50; 2 years making the Top 20 and all of this with only 1 NQ exercise (last year), that makes 71 times in the ring clean!!! 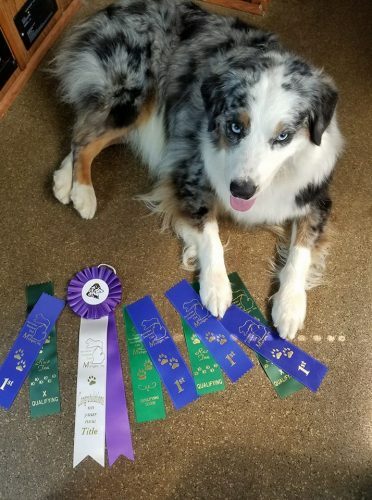 I can not be more pleased with my partner, Mr. Beau-d! He’s officially a veteran and I’m a Senior handler but we hung in there–just got home and time for a NAP!! I do have to thank everyone who cheered us on up close and from a distance! Thank you to all of those who volunteered their time to make this a wonderful even. Linda McDonald who was in charge of the workers did an awesome job! Loved seeing Barb Mina and Brodie (who also made it to the Top 50), Oscar and Maska; Renee Machen and Stella (showing in Rally); Jean Spellman and Star (Rally-Beau-D/Stella); Emily Edling and Revel (2nd place in Adv. Rally) and If I forgot someone, I didn’t mean too! Beau-D is already snoring so I’m going to go join him! 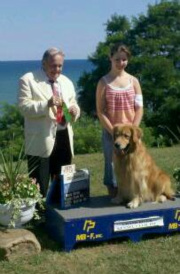 Boomer won the Award of Merit at the Canadian Pointer Nationals. To. 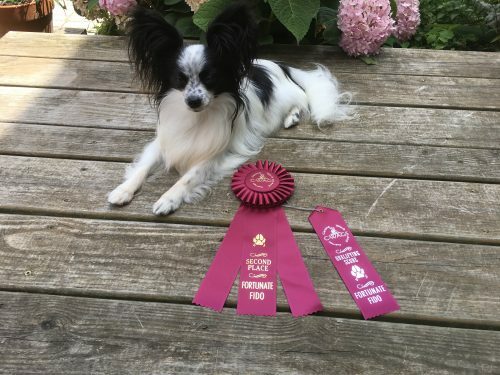 American/Canadian CH Oncore Solivia’s The Game Of A Lifetime CGC. Jeeter earned his Rally Master Title! High In Trial at the 2nd Siberian Husky Trial! 199 High in Trial and High Combined! Sat. 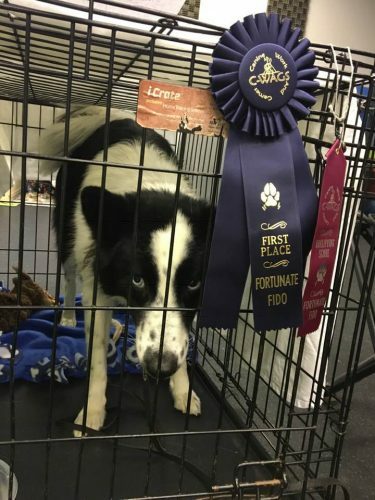 double obedience trial (Siberian Husky Club Trial), 4 Qs, 2 run-offs, winning one and losing to Flash (Beau-D’s sister) both with scores of 199! High in Trial and 2 High Combined, 3-1st places, 1 2nd!!! Beau-D got to have fun again with Rosie! Sunday we left for Central Columbus double trial, leaving at 4:30 AM. I was so thrilled to be awarded a perfect 200 from Suzanne Hemminger in Open. Beau-D’s 3rd 200! Open B second trial, 199! 4-1st places, 2 High In Trial, 2 High Combined. 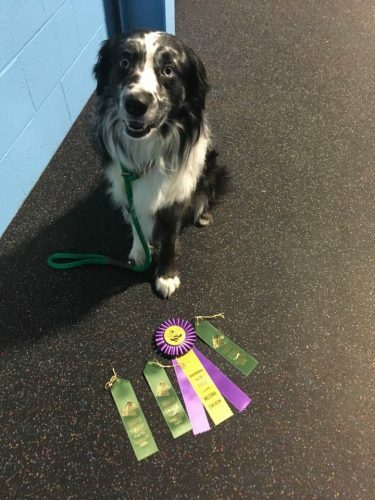 What an awesome journey, Beau-D and I have been having since coming back in to the Obedience ring in March! Thank you to all of the club members of both clubs for their hard work to put on trials for us!! 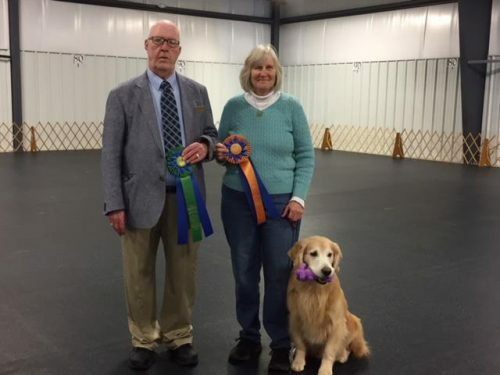 On April 20 with Jim Ham judging the Rally title Jeeter earned his 9th leg towards his Master Title with a 191 and Gloria earned a leg towards her Rally Advanced title. Another great weekend for Team Beau-D! 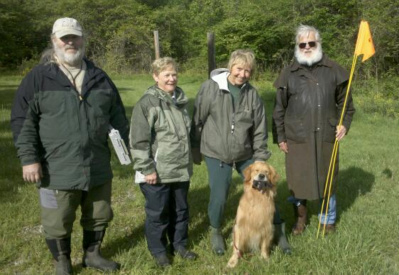 First of all, thank you to everyone at the TKC for all of your hard work to put on a great obedience trial! Total of 47 OTCH points! o humbled to be the team winning these awards. This never gets old and I never take it for granted. A day will come when we aren’t the team winning and that will be okay. At the end of the day, I have Beau-D and that is what is most important to me. Mr. B will be back in my classroom doing his therapy work this weekend and my HIT/HC ribbons will be used as rewards for my reading students! Love you Beau-D! 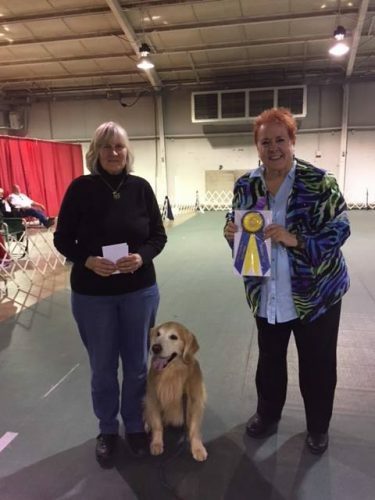 Gloria Oravec and her Doxy Eddie who finished their Open A title today! It is much harder to be outside of the ring watching that it is being in the ring!! 1 Skye son! Pretty cool! 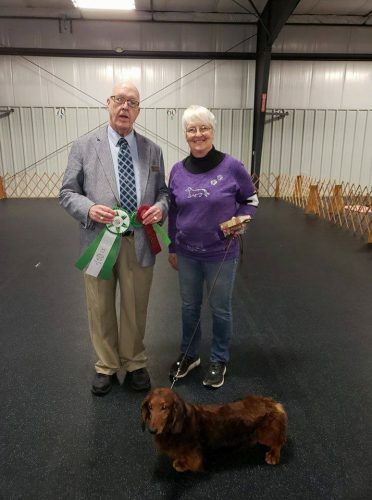 March 31, 2018 Congratulations to Jennifer Baker and Dash for her first place, first Novice A leg!! 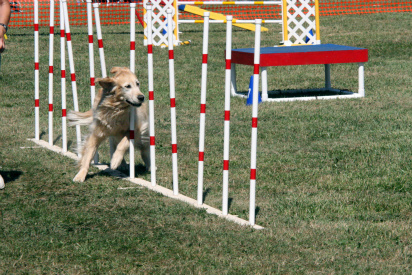 were several students from Canine Sports LLC, showing at CABTC Obedience/Rally Trial. 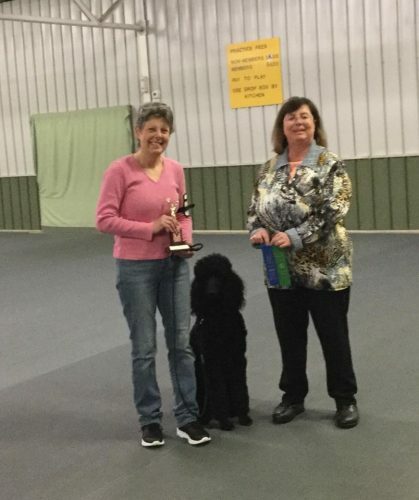 A big shout out to Glenda Martin and her Standard Poodle Q who took 2nd place in Open B earning her first OTCH point!! Q is her first Utility dog so I know she is floating tonight! Amanda Phillips and her German Shepherd, came down to the directed jumping, when Sequel took the wrong jump. We’ve worked really, really hard to get Sequel comfortable in the ring and today, they did awesome! 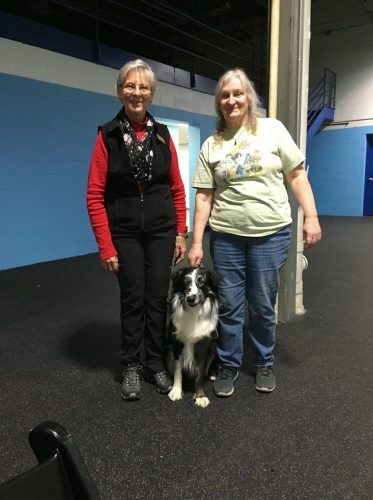 Gloria Oravec and her Doxy, Eddie, had a really nice run yesterday! Again, lots of work going into getting Eddie showing to his best (Gloria too!) unfortunately, the little guy didn’t do his stays. Last week was their first Open A leg! Coreen Cool and big Eddie (golden)had a few issues, but he always makes us smile when he gets his DB and comes bounding back! 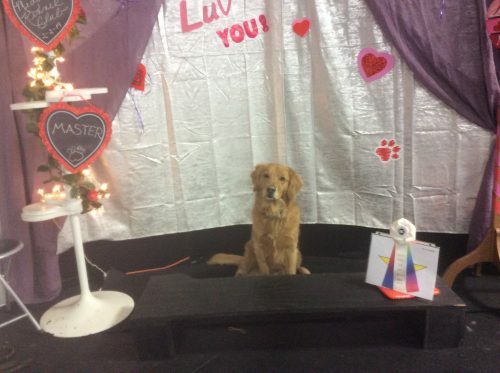 Coreen’s golden Kipper did well in Rally and Grad Novice, picking up several ribbons! 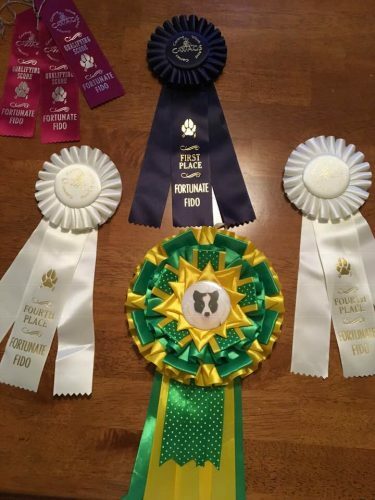 Jennifer Baker and her Standard Poodle showed for the first time in Novice A, and while they didn’t Q, Jennifer got her feet wet and there are many good things to come. 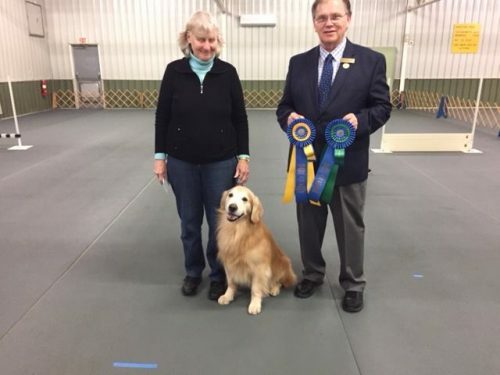 Merrilee Witmer showed her golden, Miles, in Grad Novice and while they didn’t Q they had some nice moments in the ring. Marilyn Richards showed Ryzin in OB/UB and did very nicely. Congratulations to Marilyn Richards and Ryzin on earning a new TD title on Oct. 20, 2013!!! Wonderful!! Christina Hirsch and Otis completed their Excellent Jumpers Preferred Title on Oct. 13, 2013!! Way to go you two!! 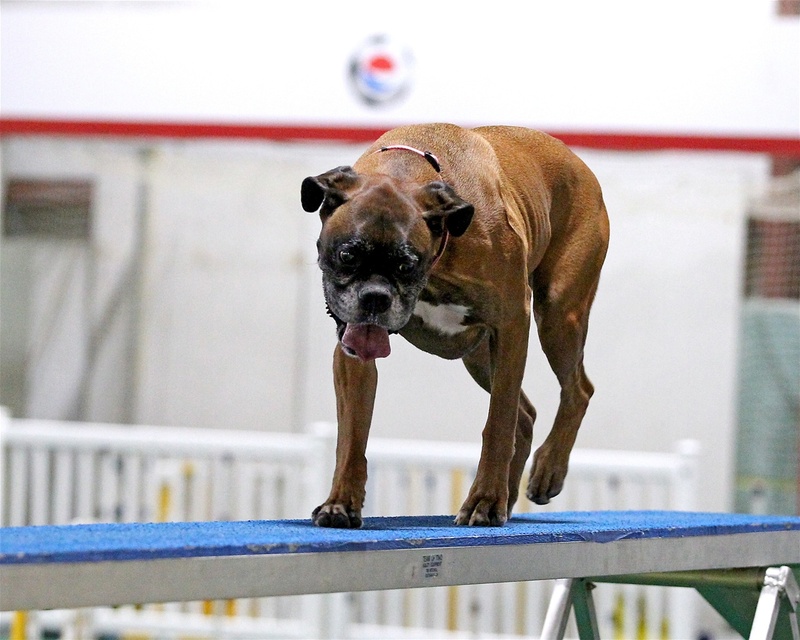 Feb. 10, 2013 Christine Hirsch and her Boxer, Charlotte earn their first Novice A leg at the Toledo Kennel club show–Way to go!!!! 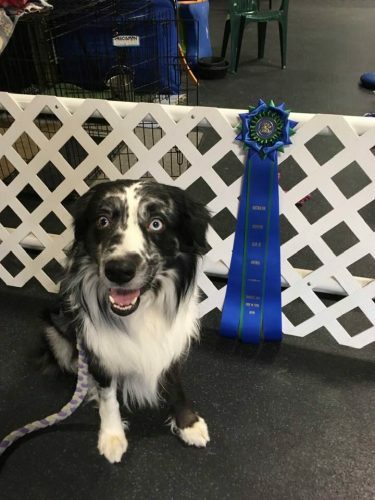 We are very excited about your accomplishment! 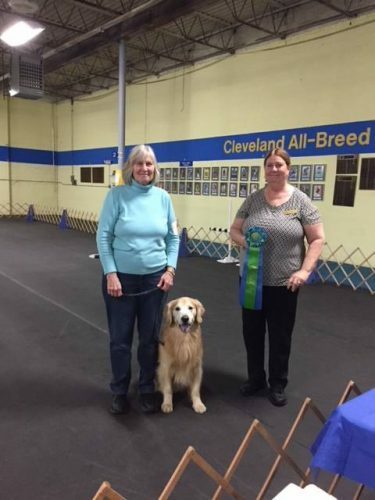 Christine and Charlotte earn a 2nd leg at Cleveland All-Breed!! All of your hard work is paying off! 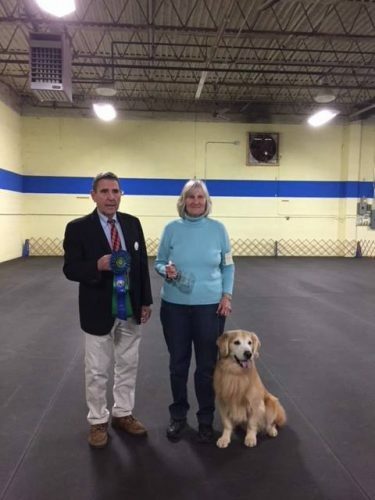 Gloria Oravec and Dreamer earned her Starter Rally Title (CW-SR) at the CWAGS trial at Canine Sports. This team has many real nice runs!! 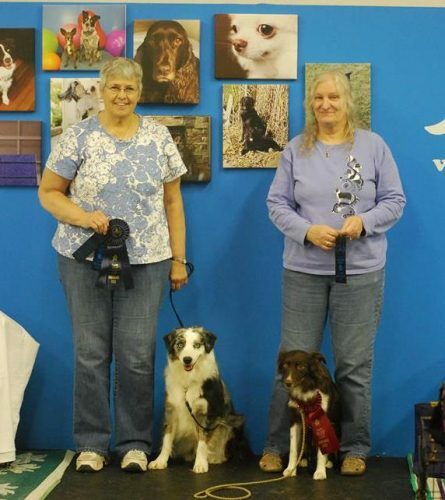 Feb. 10, 2013 Beau-D and Christy earn their second High in Trial at the Toledo Kennel club out of the Open B class! They won a three way run off with a score of 198.5.
earns High In Trial at the IX Center Dec. 15, 2012. This was the first time Beau-D was in the Open class. 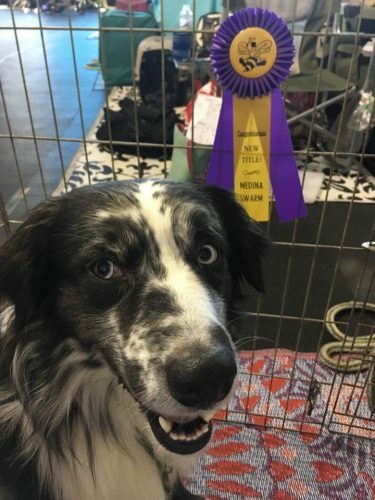 To earn High in Trial (HIT) a dog and handler must have the highest score in any of the regular obedience classes at a trial. If there is a tie, there will be a run-off between the two dogs–Beau-D had to win a run off to earn this HIT! 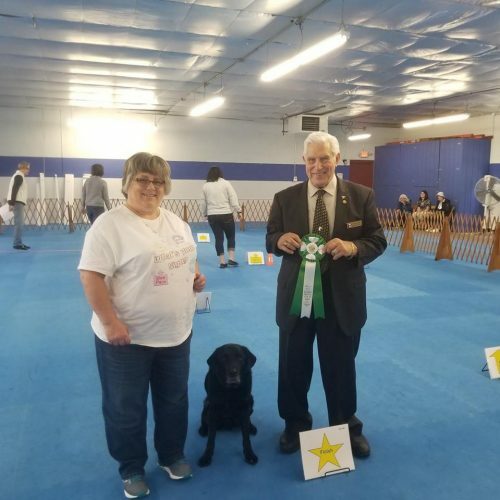 August 4th and 5th, Christy and Beau-D compete in the All Star Tournament in York, PA. Beau-D WON the Novice Dog class, beating over thirty dogs and loosing only 5 1/2 points out of 600. 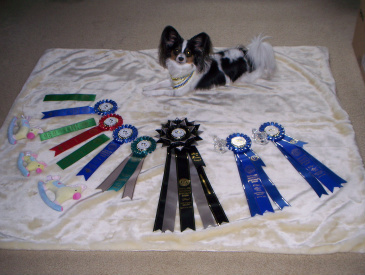 On July 16th Gizmo (handled by Alyssa) got his CD title!! 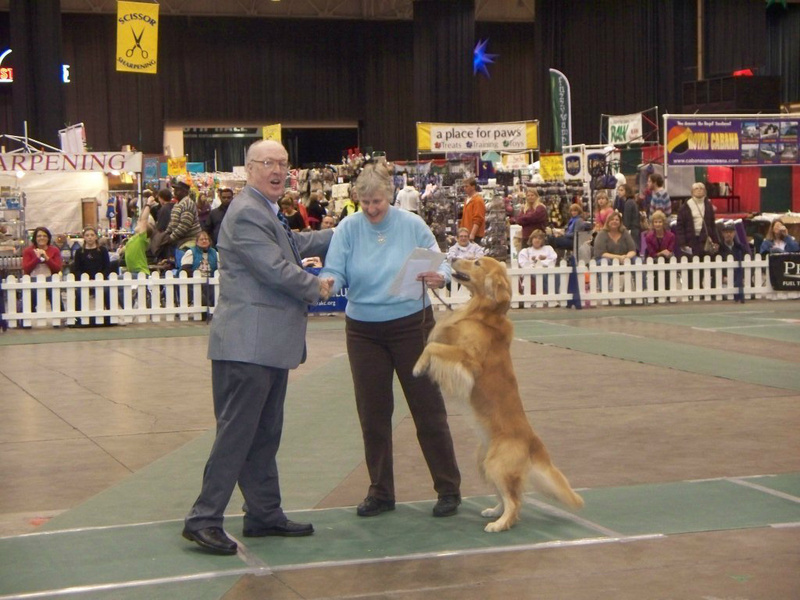 CD – Companion Dog – is the first in the Obedience titles. You need 3 qualifying scores to achieve this title. It involves heeling on lead, figure 8’s, heeling off lead, standing for exam, recall, group sit of 1 minute and group down of 3 minutes. 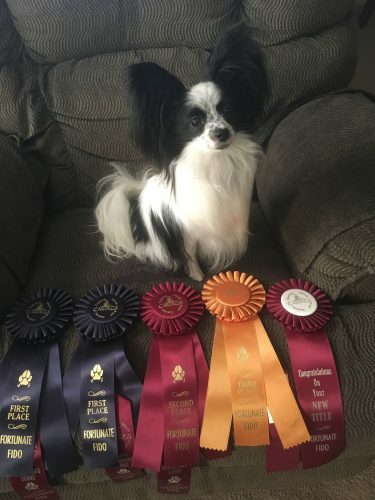 CONGRATULATIONS to both Gizmo andAlyssa!!! On Sunday, July 11th Rylie earned her C-ATCH which is her CPE Championship!!! 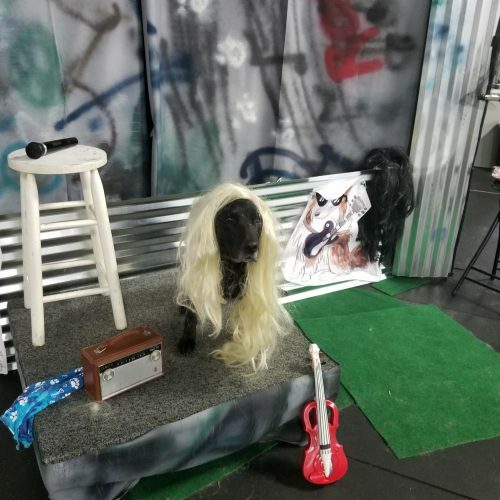 (CPE is Canine Performance Events.) The course was extremely challenging (e.g. doing the dogwalk twice with tunnels on both ends!) and the weather was hot (90 degrees) and sunny! 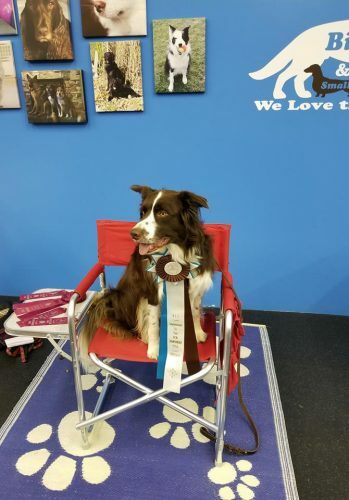 Many dogs went off course but not Rylie who, in the style of a champion, was steady and true. 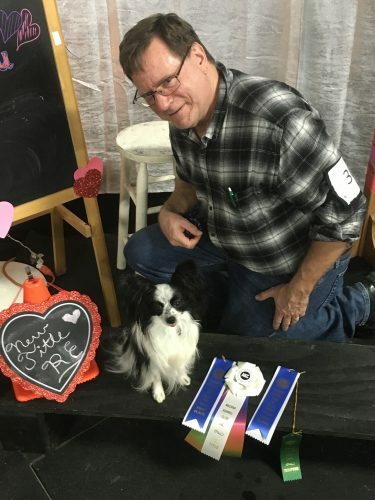 Congratulations to Rylie and her human, Jan!!! On Mother’s Day 2010 Gizmo got his Tracking Dog (TD) title!! A TD test is done to see how well a dog can track human scent and find the articles left for them. 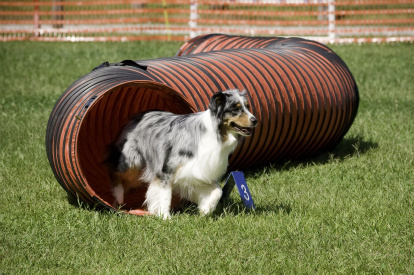 The dog follows a pre-plooted course that is between 440 and 500 yards in length containing 3-5 turns and is 1/2 to 2 hours old. 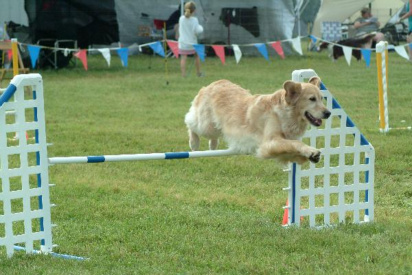 It is a sport where you have to trust your dog!! His nose tells the way so you can hang on and go with your dog. Marilyn and Gizmo ran his track in 4 minutes!!! Marilyn and Gizmo with his TD! Miss Starr and her ribbons!! !